Fermented Apples: A Healthy Treat For Your Dog! 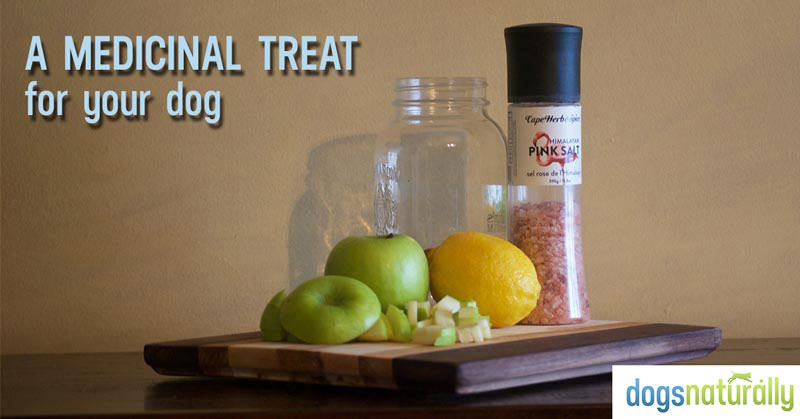 Home > Blog > Nutrition > Fermented Apples: A Healthy Treat For Your Dog! … there, I said it! When I walk them around our acreage, we go through old apple orchards and the dogs love to eat the apples that have fallen from the trees. The weird part is they love the apples most when they’ve been sitting on the ground for a couple of weeks and they’re all soft and yucky looking. There was some point in my life when I thought I should stop them from eating those rotten apples, but I figured if they were going so crazy for them, then it must be OK for them to eat. It turns out I was right. Fermented fruit is more than just OK … it actually helps my dogs’ gut health and rids their bodies of toxins (as long as it hasn’t been sitting around for too long). Why Should Your Dog Eat Fermented Apples? 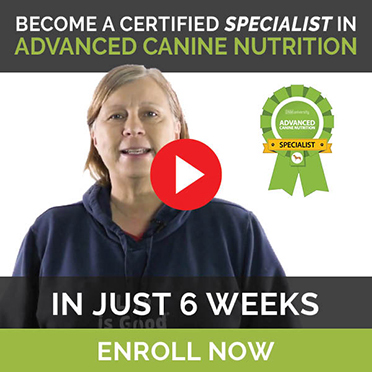 Fermented fruits and veggies are full of probiotics, which help balance out the intestinal bacteria … and this is a big deal, because your dog’s ability to fight disease is mostly located in his gut … bet you didn’t know that! And they contain a wider range of friendly bacteria than most of those expensive supplements you buy at the health food store! While most probiotic supplements you’d buy contain about 10 billion units of bacteria, fermented foods can contain 10 trillion units. 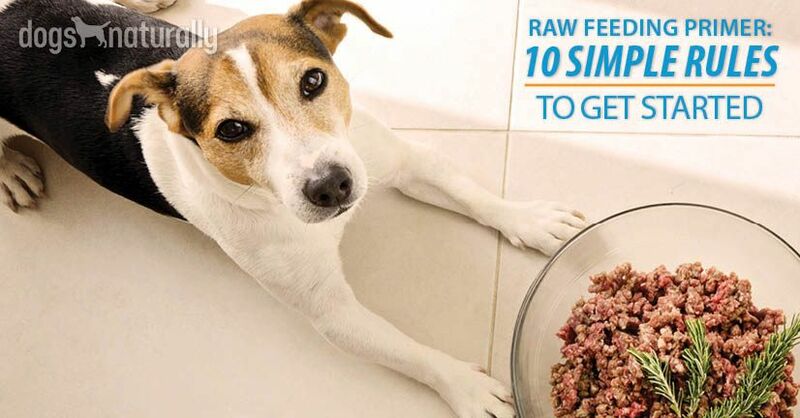 That’s a powerful way to restore your dog’s gut bacteria balance, especially after he’s been given antibiotics (although that pizza crust you might have slipped him is also laced with Roundup, which is known to wreak havoc on intestinal bacteria too). Fermented foods not only protect your dog from disease, they also help him to detox, meaning the heavy metals and toxins that build up in his body over time (from things like lawn pesticides, pollution, cleaning chemicals, vaccines, drugs and even his food and water), can be removed from his body before they cause health issues. And some animal studies show these probiotics can even prevent cancer. Fermented foods are also more digestible and your dog gets more nutrition out of them than he would out of the same unfermented apple. As an example, sauerkraut (fermented cabbage) contains way more vitamin C than cabbage. 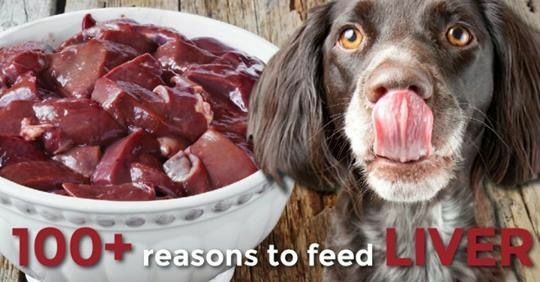 You might not have rotten apples lying around like I do, but your dog can also get the health benefits of fermented fruit with just a little work (and love) from you. 4 cups clean, filtered water. Slice the top off one of the apples and set it aside. Core and thinly slice the apples, then cut them into small pieces. Combine the salt and tested lemon in a pot with the filtered water and heat over medium heat until it’s almost simmering, making sure the salt is dissolved. Place the apple pieces in the jar, leaving about an inch at the top. Pour the filtered water mixture into the jar until the apples are covered. Push the apple pieces as far down as you can, packing them lightly. Place the top of the apple on top of the jar, so the apple slices are all submerged. Cover the jar with cheesecloth or a coffee filter. Store the jar at room temperature and allow it to ferment for 3 to 4 days. Check the apples for fermentation. The brine should be bubbling. You can taste the apples if you wish (they’re good for you too!) They should be sweet with just a little bit of tang. If they don’t seem to be fermented yet, leave them for another day or two and try them again. The longer they’re left at room temperature, the more tart they will be. Once the apples are fermented, put them in the fridge. They should keep for 3 months in the fridge – the cold temperature will stop the fermenting process. You can also add cinnamon sticks or other tasty additions to the fermented apples. Fermented apples can be fairly tart, so your dog might not take to the taste at first (although many dogs love the taste). Introduce the fermented apples slowly if your dog isn’t enthused about them. Start with just a tiny amount, and gradually build up to 1 to 2 teaspoons per 20 pounds of body weight per day. Mix the fermented apples with his food or give them with some kefir for a tasty snack … and feel good, knowing your dog is getting a healthy boost, while you save money on probiotics and other supplements.